MU WWPresident Lynne Tembey received an honour for her services to the Mothers’ Union for almost 40 years. A special service was held at Lambeth Palace by the Archbishop of Canterbury for Lynne, where she was presented with the Cross of St Augustine. Among the congregation were Mothers’ Union Trustees, staff and friends. Archbishop Justin Welby said that Lynne is a person of great faith and integrity, and her faith and commitment to Christ shines through all that she does. Lynne served for six years as Mothers’ Union Worldwide President before stepping down at the end of 2018. 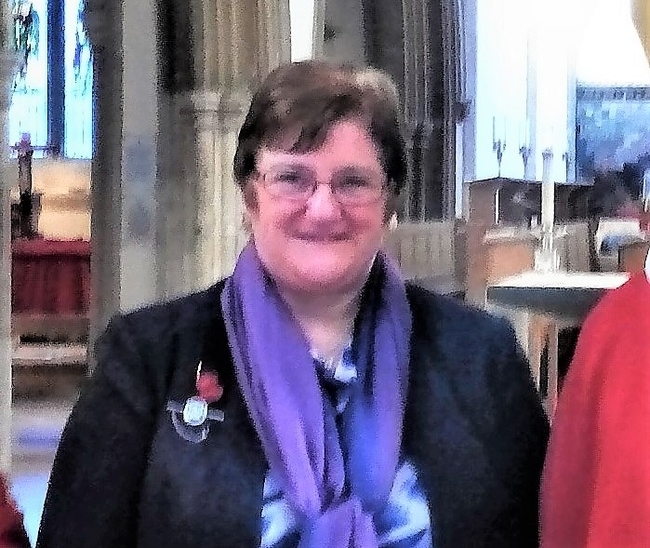 Lynne said that she was quite surprised to be presented with the honour and feels greatly privileged and humbled to think that the Archbishop thought her worthy of the award, she was said to be very thankful. Lynne recognises that she is just one among so many wonderful members, who belong to the amazing MU organisation. During her time and travels as Worldwide President, Lynne has heard many heart-felt stories and she feels that it is her mission in life to share some of these stories with others. The Cross of St Augustine is an award of merit and a gift from the Archbishop of Canterbury to members of the Anglican Communion who have made significant contributions to the life of the worldwide community.